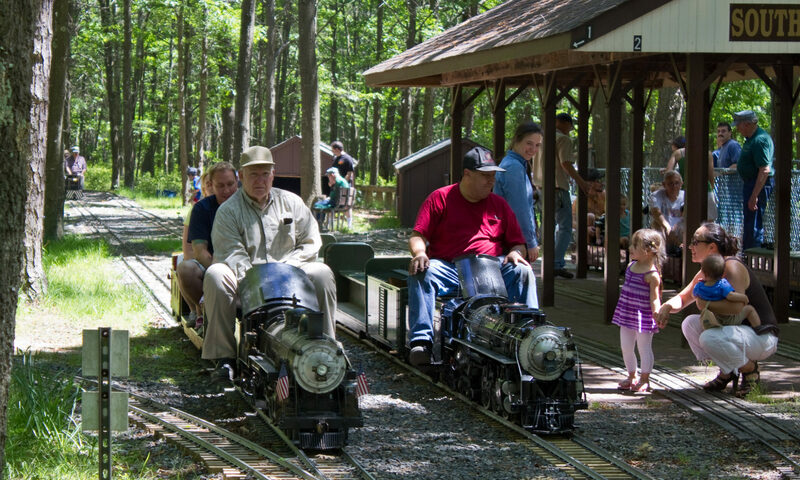 Virtually everything you will see, ride on, or otherwise enjoy during your visit to Long Island Live Steamers (with the exception of the trees and occasional deer or tortoise) was built, delivered, installed and maintained by members of the Long Island Live Steamers. The song goes, “Once I built a railroad, I made it run!” Well, we did and we did it in our spare time! Thursdays and Sundays are the “scheduled” work days, but members can be found working on equipment and projects virtually any time. The rights of way, the equipment, and most of the buildings you see here are the result of their hard work. Please enjoy the fruits of their labor and enjoy your time here with us. But please, treat our railroad with the respect it deserves. When we don’t play, we work. Even then we have fun! Our members are out working on most Sundays, even when we are not running and for those that can get out on weekdays, there’s a Thursday Gang is out there, too. Even if you don’t have an interest in railroading (as difficult as that may be to believe), you might find a job you’ll enjoy doing around the track. We need electricians, grounds keepers, carpenters, signal maintainers and many other skilled individuals.